The site chosen sits at the Campus edge at a point where the ridge begins to slope gently away to the Golf Course and Cemetery beyond. Mature fig trees create a threshold experience and frame views to the southeast. The canopy shelters the site, shading the afternoon sun and defining a space for larger gatherings. The building is an object in its landscape context and is of a scale complementary to its surroundings. 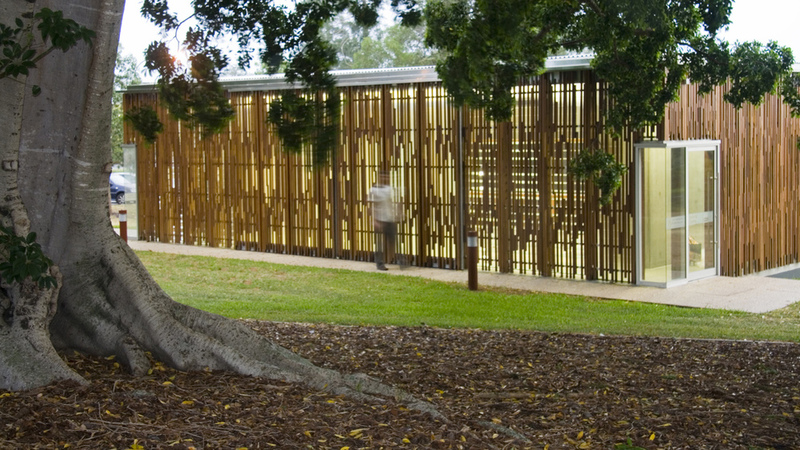 The Activity Centre sits on a polished concrete platform with external walls of recycled timber batten screens combined with fibreglass panelling or louvre galleries. Glazed openings in the screen provide access and frame views. Monolithic interior walls house wash areas and support spaces, and frame the main prayer space. A canvas blind concealed in the ceiling can be dropped to further divide the space in two. Large doors open up to the Fig trees and invert the space, turning it into a stage for gatherings, weddings and plays. The building expresses its spiritual quality with the stripped bare and raw materials and in the expression of the detailing. The simple plan form and concrete platform contrast with the highly articulated exterior walls. 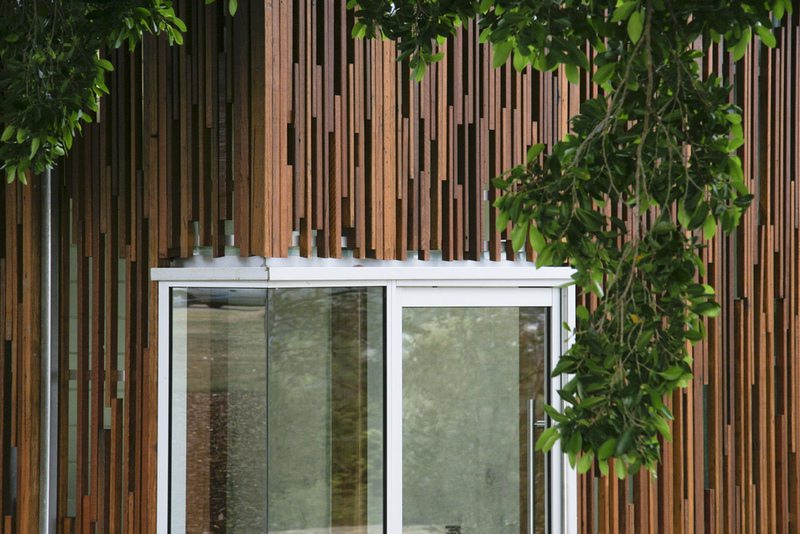 Random batten screening sets up a patternless texture to the exterior, punctuated by glazed openings in a glossy counterpoint. The timber warms and humanises the space, inviting touch. It protects and secures the more fragile parts of the building. In practical terms the robust materials deal with the elements; the building can be hosed clean.